A barcode system is a vital component to many businesses. It helps track inventory in real time, improves checkout and shipping times, prevents theft, and improves other general business processes. But, what makes a good barcode system? Any good system will be equipped with all of the tools needed to fully track, move, and distribute inventory. This includes a top-quality barcode reader, barcode printers, barcode labels, and barcode software. 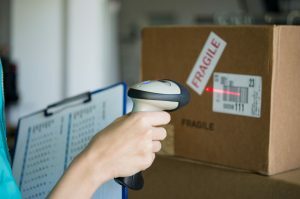 Perhaps the most important of all your barcode equipment, the barcode reader you choose will determine just how efficiently your team can scan and move stock. At Tri-State Business Systems, our experts know which questions to ask to ensure that you choose the model that is best for you and your business. 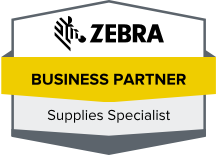 We often recommend Zebra barcode readers, which can help companies capture their data as they need it. These readers provide fast, accurate results and are ideal for broad applications including at retail registers, in clinical settings, and more. In addition to one or more barcode readers, you will need to outfit your organization with label printers, choose the appropriate label type for your application, and utilize barcode software to store and track your data. Tri-State Business Systems offers multiple printer types, including midrange printers, mobile printers, high performance printers and more, and we also carry a wide range of label options to better serve you. Additionally, we are pleased to offer both standard software options, as well as custom software solutions that are designed with your business in mind. If you are interested in learning more about our barcode reader selection or have questions about our barcode software or any of our other products, contact us today. We proudly serve businesses in Bradley Gardens, Neshanic, Millstone, Blackwells Mills, Montgomery, and the neighboring areas, and we look forward to helping you and your business.